Weight is arguably the most important factor when it comes to outright racing performance as it affects acceleration, braking and cornering. Since the dawn of motor racing, engineers have tried to achieve the perfect balance between saving weight and chassis rigidity. 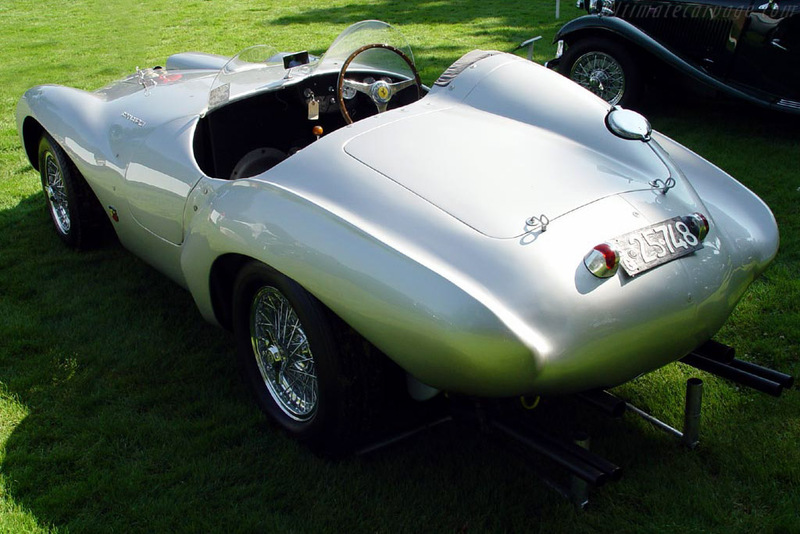 To keep up with the manufacturers, the Italian coachbuilders offered specially designed light weight bodies. Most famous of these was the 'Supperleggera' construction offered by Touring, which consisted of aluminium panels fitted on a steel frame. After the 2nd World War the 'smaller' racing classes were extremely popular in Italy. 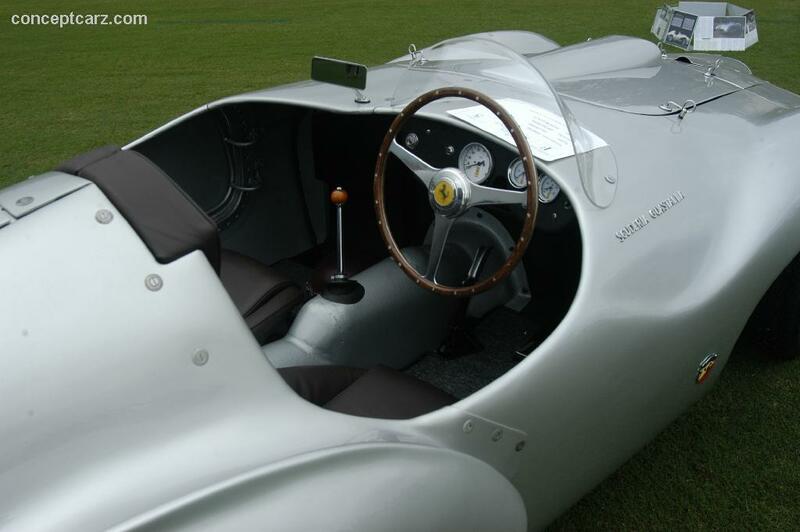 One of the dominant chassis of the day, was the newly designed Ferrari 166 MM. 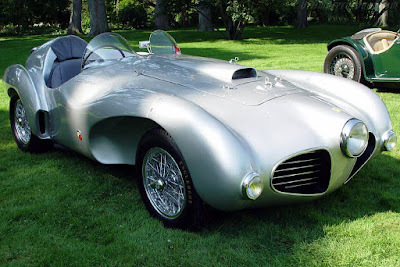 Powered by a two litre V12 engine, it took on the competition from Alfa Romeo, Lancia and Fiat. Both Touring and Vignale offered coachworks designed to be fitted on Ferrari's two-litre racer. 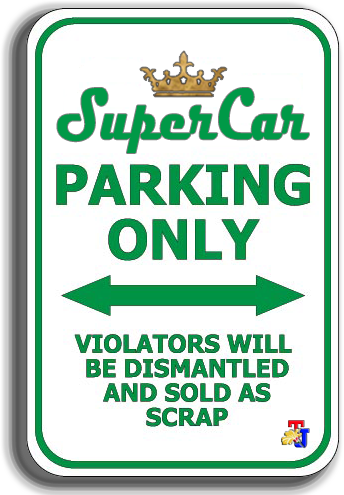 It was constructed on March 14, 1953 and is a right-hand drive vehicle. 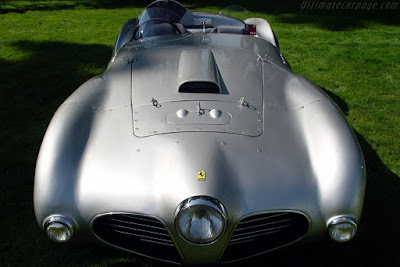 In 1953 Scuderia Guastalla's driver Giulio Musitella took delivery of a 166 MM with the chassis number 0262M, set to receive a Vignale body. Not satisfied with the weight of his new racer, Musitella commisioned Carlo Abarth to design and fit a new body. Abarth's approach to lightening the 166 MM was far from conventional. He not only shaved off a lot of weight, but also constructed a body ideally suited for racing. He fitted the chassis with removable aluminium body panels bolted together on a support frame. The installation method allowed damaged panels to be replaced quickly. All panels were beaten by hand by Giuseppe Manera from metal sheets. 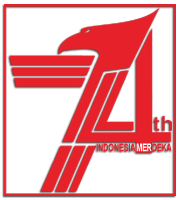 In total the body and frame weigh a mere 55 kg (121 lbs). 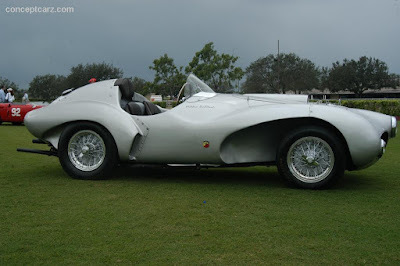 With its central headlight, the Abarth bodied 166 MM was one the most uniquely bodied Ferrari's of its day. With its streamlined body and weighing almost 275 kg (600 lbs) less than the Vignale bodied 166 MMs, the Abarth Spyder was set to be a big success. The conversion payed off; at its competition debut in the 1953 Targa Florio, as Musitella took a class victory. He campaigned the car throughout the season, with an overall victory in the 10 hours of Messina race as his best result. 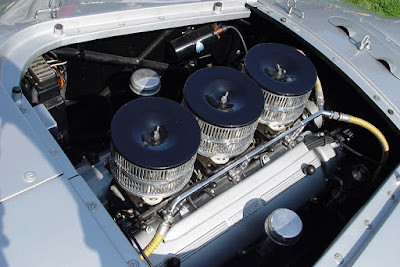 At the end of the season, the original engine was replaced by the three-litre V12 also found in the 250 MM.